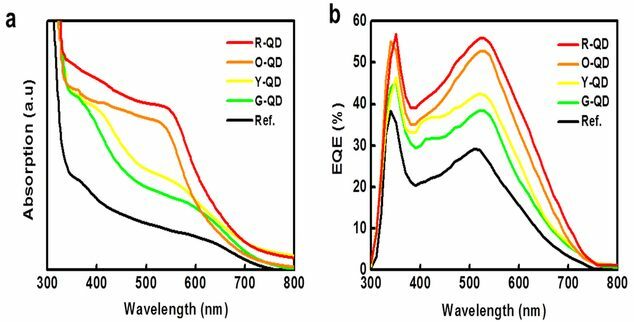 now reading: Will Quantum Dots Revolutionize Solar Cells? The sun will hopefully be the energy source of the future, but currently, solar power provides less than 1% of global energy. The reason isn't due to a conspiracy among fossil fuel companies, as some media outlets apparently believe, but because of multiple inherent problems with solar technology. In a nutshell, there is a tradeoff between efficiency and cost. 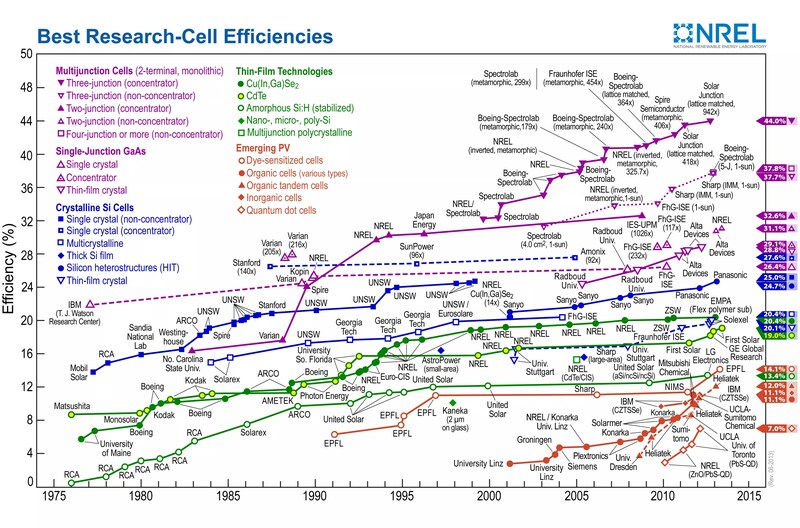 For example, the current world-record for efficiency (i.e., the ability to convert light into electricity) is 44.7%, held by a multi-junction solar cell used in concentrated photovoltaics. However, for various reasons, such systems are still expensive. Cheaper solar cells, such as the ones you can mount on your roof, are more reasonably priced but have efficiences only around 10 to 20%. Thus, the "holy grail" is to design a solar cell with high efficiency and low cost.